Instant Knockout Review - Does This Fat Burner Hit the Pounds as Hard as Promised? 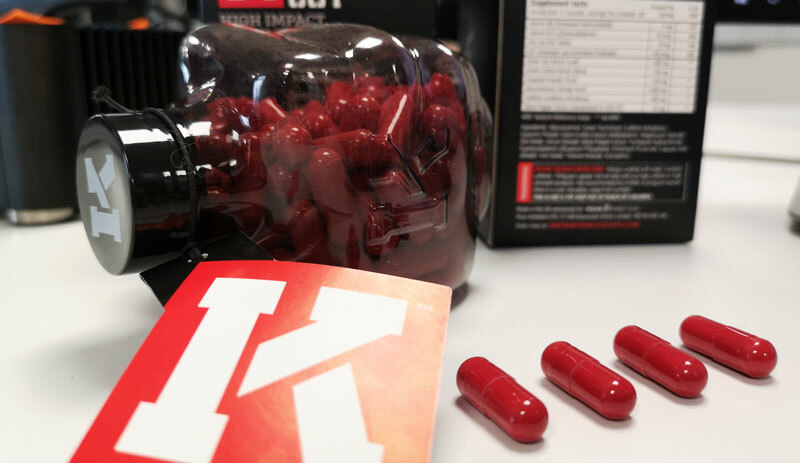 Home » Instant Knockout Review – Does This Fat Burner Hit the Pounds as Hard as Promised? 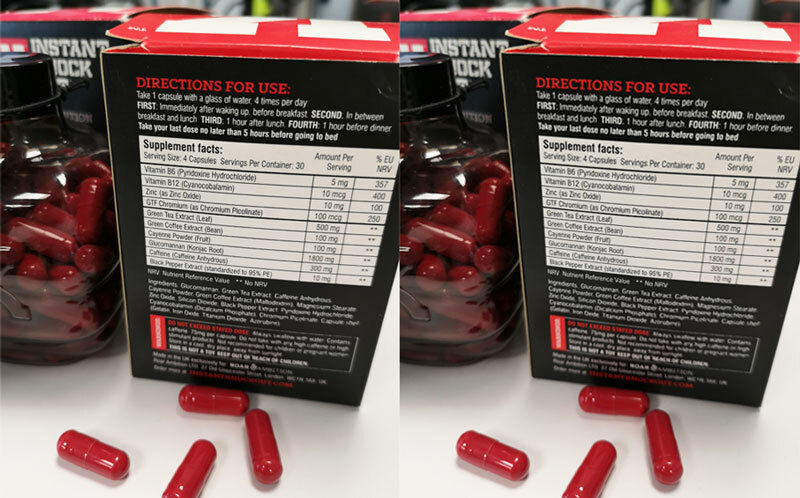 A now established figure on the fat burner market, Instant Knockout has consistently solidified its position as a standout supplement Over the past few years it’s surpassed its original status as an aid for fighters only, becoming a popular choice among fitness enthusiasts and athletes alike. But, does it actually deliver the knockout fat burning benefits it promises? Through this in-depth review we’ll find out. Our team of researchers will break down every aspect of this product. They’ll inspect its integrity from all angles, building a comprehensive profile of effectiveness, safety and reliability in the process. By the end of this review we will hold an all-encompassing understanding of exactly how Instant Knockout works, it’s overall level of potential, and whether it’s good value for money. No stone will be left unturned, nor any fact unchecked. On first inspection, it’s evident that Roar Ambition aspire to deliver premium quality. A fist shaped bottle filled with bright red pills immediately shows an intense, razor-sharp attention to detail. The packaging is high-quality and feels confident and powerful. First impressions evidently matter to Roar Ambition, who’ve certainly created a product that stands out from the competition. Instant Knockout’s bold, aggressive name and packaging makes perfect sense when you discover its lineage. Unlike many across-the-board, unfocused fat burners, this supplement was engineered specifically for fighters. Its formula was developed exclusively to meet the needs of elite MMA athletes, looking to lose weight for competition without risking indispensable muscle. Today though, Instant Knockout claims to meet the fat burning needs of all men and women. While it may still be used by high-performance athletes, an intelligent ingredient profile alongside relative affordability and scientifically-supported servings make this an accessible supplement for many. All promises aside – surface level insights do not influence our reviews. To find out the true potential of Instant Knockout we must delve deeper. For that to happen, our team will pull apart the product to cross-examine and assess its ingredient formula against recent, cutting-edge research. Our experienced team only draw insights from reputable, scientific sources, which can be checked in the reference section. This allows us to establish a level of unbiased reviewing we pride ourselves on. Once performance is established, it’s imperative we confirm safety. The supplement ingredient profile will offer an insight into how well-served each element is, and how safe too. For any high-caliber fat burner, we expect to see all-natural ingredient choices, completely free from proprietary blends. Only after thorough inspection can we give a verdict of potential safety. Finally, we find out if Instant Knockout is actually worth your cash. This knowledge is achieved by aligning potential fat burning performance and safety, alongside monetary cost. For example, a high-performing, premium supplement with a price-tag that reflects that effectiveness is still considered better value than a mid-priced, lower-quality substitute. Read on to discover if Instant Knockout really delivers a powerful fat burning combination. How much is Instant Knockout? Instant Knockout’s primary objective, as with all fat burners, is to change your body composition. The result should be lower body fat in relation to muscle mass, which may also be accompanied by weight loss. As a premium fat burner, this supplement should support a fat loss journey by providing energy alongside noticeable reductions in appetite. After review, Instant Knockout is undeniably on target. No high-quality fat burner is complete without an element of increased metabolism. Simply put – you burn more calories than you would without it. Instant Knockout should achieve this by utilizing numerous research-backed thermogenic compounds . Together, these integral ingredients combine to create a complete fat-loss support complex, resulting in higher calorie expenditure. One side effect of a calorie restricted fat loss diet is a lack of energy. Therefore, it is integral that a reputable fat burner provides an additional boost to help combat fatigue. By including the likes of caffeine through two pathways in safe, crash-free servings, Instant Knockout may provide a vital lift. Whereas many lesser-quality substitutes overuse caffeine, this premium product favors exclusively well-researched servings, delivered via the additional avenue of green tea. Ultimately, users should feel the energy to take on their fat-loss workouts, while enjoying mental focus and clarity in the workplace  . The only way anybody can successfully burn fat is to achieve a calorie deficit . Energy expended throughout the day must outweigh that taken on by food. Consequently, caving in to cravings and overeating can sabotage your goals, doing damage that no supplement can undo. Instant Knockout clearly understand this underestimated pitfall, so have added the expanding fiber glucomannan to their formula. Once ingested this should help curb appetite by creating feelings of fullness. Fat burners can often focus too heavily on cutting pounds, often at the cost of body composition. This shallow, low-quality approach usually results in physical repercussions, including muscle wastage. However, Instant Knockout have accounted for the potential unwanted side-effects of this practice. They instead forward plan to protect your physique by supplying vital vitamins and muscle maintaining minerals. When we inspect a supplement’s ingredient profile, we immediately look for two things. Firstly, we want to find safe ingredients accompanied by risk-free serving sizes. Then, if we can determine safety, we progress to decide potential effectiveness. After careful review we found that Instant Knockout should be safe. Its all-natural formula shows intelligent ingredient selection, which should pose no threat to users. Informed serving sizes were also discovered without over- or under-utilized components. As with many fat burners, Instant Knockout contains the potent stimulant caffeine. When used appropriately, this caffeine could positively impact performance in the gym, within the workplace, and even provides metabolic boosting effects . We found the suggested serving size within this fat burner should be both safe and effective. Creating a clean, no-gimmick formula is how Instant Knockout prove their reputable status. By staying free from proprietary blends, they offer a high-degree of clear-cut transparency, which bolsters their overall safety score. Each ingredient is displayed directly on the bottle and carton side, meaning no potentially harmful or filler substances are hidden from view. Again, this allows us to say with confidence this supplement should be safe for consumption. Instant Knockout is composed of 10 all-natural ingredients. Although not the most streamlined formula like that of Hunter Burn, each element warrants its place within the complex, showing positive signs of fat burning support. After inspection our team also found no hint of unnecessary fillers. At first, we were skeptical about whether such an expansive profile such as this could deliver. Yet, when cross-referenced with relevant studies, we discovered every ingredient to be well-served. Additionally, Instant Knockout’s caffeine content sat comfortably within the range of effectiveness, without causing call for concern. 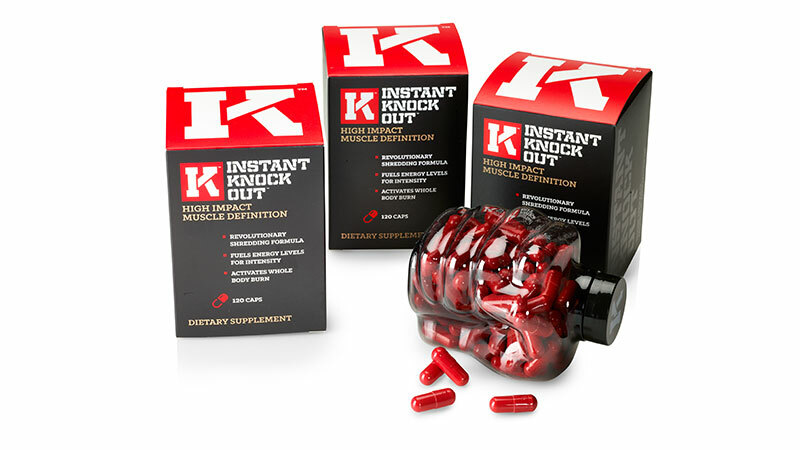 In short – Instant Knockout offers one of the best ingredient profiles we’ve seen as reviewers. A popular bitter drink enjoyed around the world, green tea is an essential addition to Instant Knockout. According to numerous studies it can help fight fat from more than one angle. Firstly, green tea is dense with bioactive polyphenols known as catechins, which have a positive influence on weight loss . Additional studies state that it can provide thermogenic effects and increase calorie burn through caffeine content  . In addition to raising resting metabolic rate, green tea can also influence fat burning by providing energy for exercise. The clean hit of caffeine found within this bitter leaf should help users side-step fatigue caused by calorie restriction. This potent pepper provides Instant Knockout with a powerful thermogenic boost. Like all chilis, cayenne contains capsaicin, a bioactive alkaloid that raises the core temperature of the body, alongside fat oxidation and metabolic rate . Furthermore, additional research suggests that supplementing with capsaicin can bring about positive changes to blood-sugar management systems. When used in this way, the thermogenic compound may help fat loss by influencing the way your body utilizes carbohydrates . To bolster the benefits of cayenne powder, scientists say it can also improve satiety. Therefore, the inclusion of this capsaicin-rich compound could be considered another appetite controller provided by Instant Knockout . Unlike other ingredients which might directly impact fat burning, glucomannan takes a different path. Instead, this natural fiber of the konjac plant expands slightly while in the stomach, which should create a sense of fullness. According to Instant Knockout, this complex carbohydrate has a beta-D glucose and beta-D-mannose structure, meaning it cannot be digested. Therefore, in theory, glucomannan can help to improve satiety, without adding to your daily calorie intake. Research has shown that glucomannan alone can support better weight loss . By combining the sensation of satisfied hunger with Instant Knockout’s thermogenic properties, you may experience faster fat loss. Instant Knockout should assist you throughout the day with a consistent stream of energy. One of the most valuable players in this game is caffeine anhydrous – an ingredient supplied at a powerful, yet appropriate 350 mg. Backing up the energizing efforts of green tea, this form of caffeine is one step ahead. According to the International Society of Sports Nutrition, caffeine anhydrous overtakes the likes of tea and coffee in terms of ergonomic effects. The ISSN’s research suggests it’s especially advantageous for both maximal endurance and high-intensity sports , therefore, it could be beneficial for your bouts of fat burning exercise. Furthermore, caffeine is a powerful psychoactive compound commonly utilized across the globe. Including it within Instant Knockouts mix may help you remain focused and experience a cognitive boost, especially when calorie intake is low . Finally, caffeine is a known thermogenic . This metabolic raising effect adds another powerful punch to Instant Knockouts high fat burning potential. Effective fat loss is a process that requires weeks to months of dedication. Regardless of how hard you diet or what supplements you take, it doesn’t happen immediately. First, you must be in a calorie deficit, so your body turns to its fat stores for energy. Next, by exercising, you can increase your total daily energy expenditure, meaning the demands for these reserves is higher. Finally, by consistently supplementing with a fat burner like Instant Knockout, you can positively influence both calorie burning and appetite, alongside supporting your body with healthy vitamins and minerals. Planning how and when to take Instant Knockout is important for unlocking its many potential benefits. For example, the appetite controlling compound found within it can help stop overeating, which is why this fat burner should be taken around meal times. One daily distribution of Instant Knockout equates to four capsules. However, rather than taking them all together, this amount is split into four servings. According to the manufacturer, it’s also important to drink a full glass of water with each serving. Not only will this help your body digest each ingredient, but it’ll allow the appetite suppressing glucomannan to expand. This should work to keep cravings at bay and stop overeating. 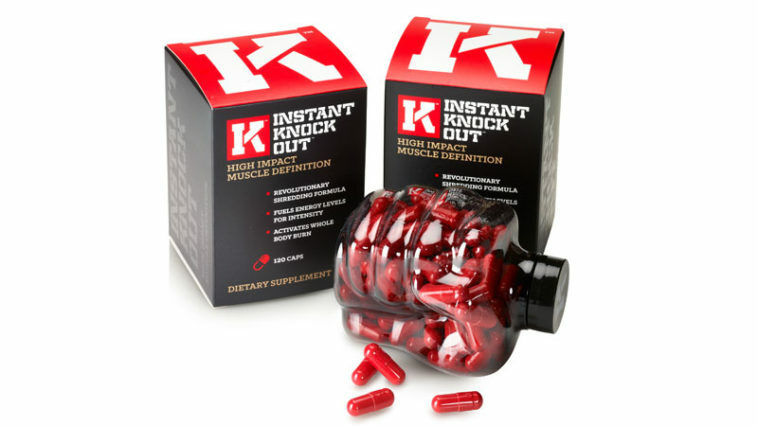 Instant Knockout suggest you take your final capsules at least five hours before bed. This will ensure there’s adequate time for the caffeine content to be processed without it impacting sleep. If you’re sensitive to caffeine, we recommend you extend this time period, as well as reducing your daily intake. To establish a level of safety do not take more than the recommended amount of this product. Failure to comply to manufacturer guidelines may negatively impact your health. 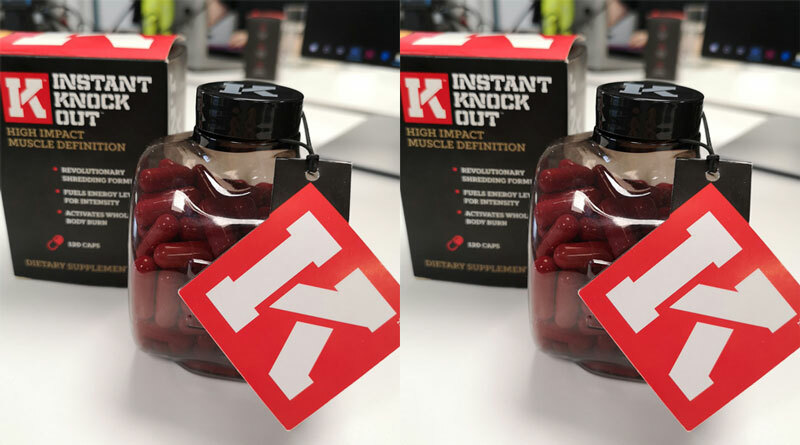 One fist-shaped bottle of Instant Knockout contains 180 capsules, which amounts to a 30-day supply. If you decide to take Instant Knockout consistently you can also access a multi-buy deal. When three containers are purchased in one transaction, a fourth month-long supply is included for free. Customers who make the most of this offer can also have their order shipped worldwide at no cost. This exclusive offer could save Instant Knockout users substantial cash in the long-term. However, as a premium product, the fat burner is only available direct from the manufacturer. Surpassing its combat sport roots, Instant Knockout stands out as a truly accessible fat burner. Our team found an impressively potent, all-natural ingredient formula, combined with scientifically-supported servings. In short – this supplement hit every mark for quality, safety, and effectiveness. At first, we were intrigued by Instant Knockout’s ingredient choice. With so many fat burners overfilled with unnecessary add-ons, we needed to know exactly how justifiable 10 ingredients are. Upon inspection, our team found nothing but reputable, research-backed fat burning ingredients. Instant Knockout also showed itself to be completely free-from dangerous proprietary blends. This, teamed with a complete display of transparency, solidified this supplement’s mark of safety. Another key aspect that overshadowed Instant Knockout’s competitors was suggested servings. We found this supplement to be excellently distributed, not only in individual capsules, but recommended daily intake too. This certainly helped Instant Knockout score highly on potential effectiveness. Finally, no review is complete without the consideration of cost. Our initial response to price was that Instant Knockout clearly sits in the higher bracket. However, after such an impressive performance for potential safety and effectiveness, we found the manufacturers request to be fair. Although pricier, Instant Knockout’s premium quality does make it good value for money. We would not hesitate to recommend this fat burner over a cheaper, lower-tier and potentially less effective substitute. If you’re searching for a premium fat burner to accelerate your body goals, you might have found it. Instant Knockout is our number one supplement on the market today. Davoodi SH, Ajami M, Ayatollahi SA, Dowlatshahi K, Javedan G, Pazoki-Toroudi HR. Calorie shifting diet versus calorie restriction diet: a comparative clinical trial study. Int J Prev Med. 2014;5(4):447-56.